Kevin bought a train ticket to Wellington and his girlfriend since school days Tira Smith was on the same train. They got off at Wellington. Kevin got accommodation at the Gear Meat Hostel in Petone and took a job there. He was only going to stay a month but the rest, as they say, is history. Southland’s loss was Petone’s gain. The pair eventually married in 1974 tying the knot back in Hastings. 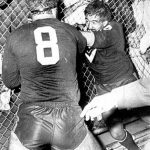 He moved to Wellington in 1971, joining the Petone Panthers Rugby League Club. Kevin said he had only seen league on TV and didn’t find it appealing. In Petone, he took up the game and soon developed an enthusiasm for it, gaining selection for the Junior Kiwis in 1973. 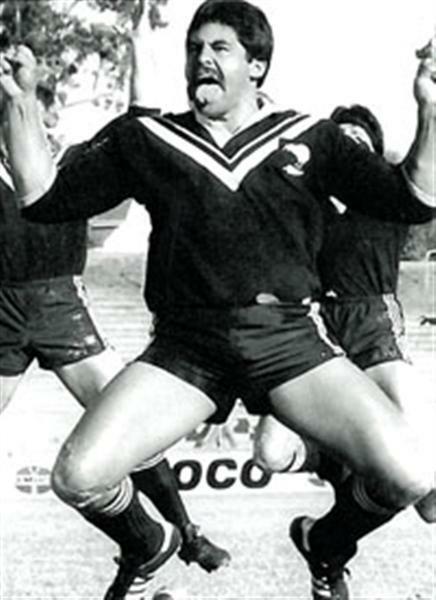 In 1975 Kevin moved to the Upper Hutt Tigers Rugby League Club, winning his first selection for the Kiwis in 1979, which would see the start of Kevin playing a further 37games and 22 tests over a six year period for the Kiwis. Kevin moved to Randwick ‘Kingfishers’ at Strand Park (Lower Hutt) in 1981. He played 83 matches for the club. Kevin had joined some of NZ’s finest Kiwi league players who turned out for Randwick, including, Ron Hemi, John Whittaker, Sam Stewart, Barry Harvey, Tony Kemp, Steve Kearney, Denvour Johnson, and George Lajpold. Kevin recalls ten years of playing Rugby League in Wellington. 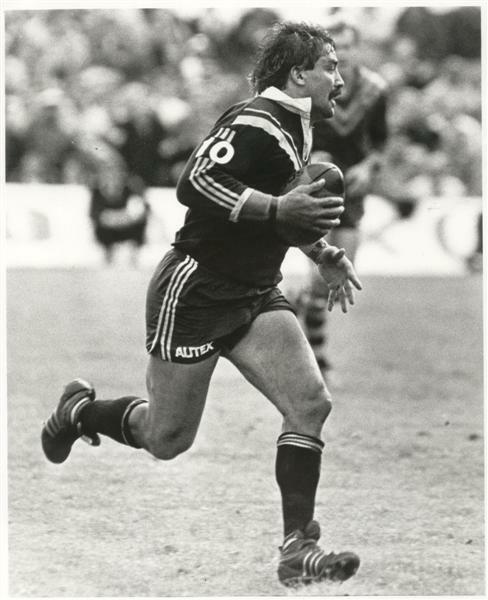 In 1984 Kevin was probably the only player in the history of the game who was able to play for Northcote ‘Tigers’ on Saturday in the Auckland competition and fly down to Wellington to play for Randwick ‘Kingfishers’ on Wednesday nights at Hutt Park. 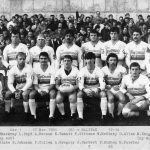 In 1984 Kevin was also selected to play for Auckland against the Touring Great Britain Rugby League side which Auckland won. In 1982 Kevin accepted a Professional contract to play for ‘Wildnes RLFC’ in the UK, playing for three seasons. In 1984 Widnes played Wigan in the Challenge Cup Final at Wembley Stadium, in front of a crowd of 100,000. Kevin and his Widnes team mates were to strong for Wigan and it was Kevin who lifted the Challenge Cup in victory. ‘Before the game I went with some of the guys to the bookies and noticed I was paying 90 pounds to win the Lance Todd Trophy, (Man of the Match), so I put 20 pounds on myself,’ he recalled. ‘I came close to picking up the award but, got pipped at the line by Joe Lydon. The press men told me I was leading till Joe scored his second try. I wouldn’t have minded, had I not set up both his tries, the first of Joe’s tries came when I pulled the Wigan full back Shaun Edwards into the tackle and slipped the ball round the back of him to give to Joe who had no one in front of him jogging 80 metres to score. 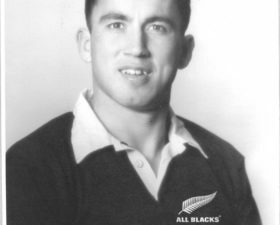 For his second, I ‘pole-axed’ their halfback David Stephenson he dropped the ball Joe picked it up and ran another 80 metres, unchallenged.’ Playing for Wigan that day was cousin Howie Tamati, Graham West and fellow Kiwi Danny Campbell. In 1985 he moved to neighbouring club Warrington and had some success with the ‘Wire’, winning the Lancashire Cup and Premiership Trophy in 1988. Kevin turned out 116 times for the club. The high point was winning Premiership Cup Final in 1988. 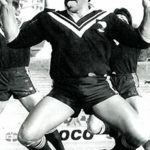 During this time Kevin played with Great Britain players Mick Adams, Eric Hughes, Joe Lydon, Andy Gregory, Mike Gregory; Australian players, Les Boyd, Steve Roach, Bob Jackson, Phil Blake and Les Davidson, and Kiwi test players Kurt Sorenson, Esene Faimalo, Shane Cooper, Julian O’Neil and Mark Elia. 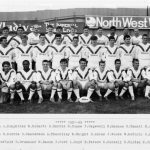 In 1989 Kevin turned to coaching, firstly as Head Coach of Salford RLFC (UK) where he won the First Division League Championship (1990) and First Division Premiership Championship (1990). In 1994 he took over as head coach of second division, Chorley Borough RLFC (UK) before moving on to Lancashire Lynx RLFC where he won the Second Division League Championship (1996). In 1998 he was head coach for the Second Division Whitehaven ‘Warriors’. Kevin recalls, ‘I enjoyed my time playing and coaching in the UK and strongly recommend to all who get the opportunity, to go. It’s a chance not to be missed’. 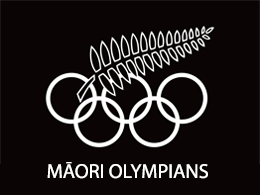 Kevin and cousin Howie played out their international careers together from 1979 to 1985, upholding the mana of their whanau, hapu and iwi, proudly representing New Zealand, New Zealand Maori, Central Districts and their Provinces – Taranaki and Wellington. ‘Kevin was a popular player with both the fans and his team mates who played for 4 years at Wilderspool for Warrington. 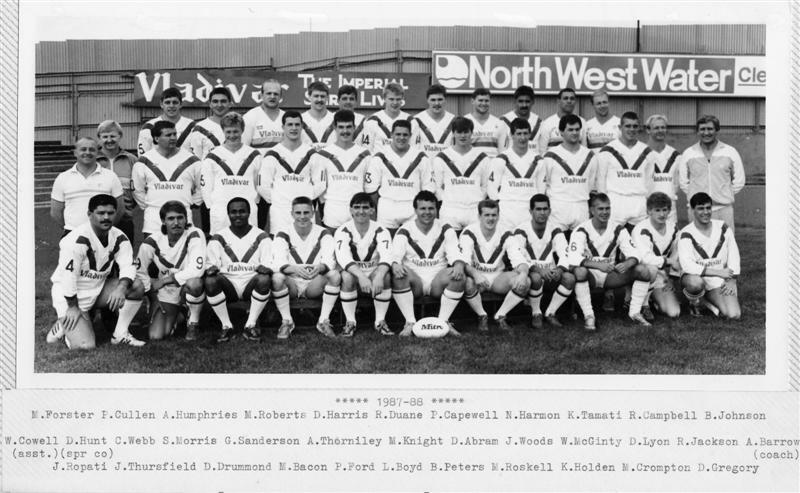 Below is the article that appears in the book ‘100 Warrington Greats’ by Gary Slater and Eddie Fuller. ‘After his first few Test appearances for New Zealand against the Kangaroos, the Australian press nicknamed Kevin Tamati ‘Terrible Tamati’. The journalists were not being disrespectful. They were using the word terrible as in ‘Ivan the Terrible’, the Russian Tsar – absolutely terrifying. Tamati had mellowed, but only slightly by the time he joined Warrington in August 1985, one month short of his 32nd birthday. He was still a formidable competitor however, and won his 22nd and final Kiwi cap against Great Britain in the drawn third Test at Elland Road that November. 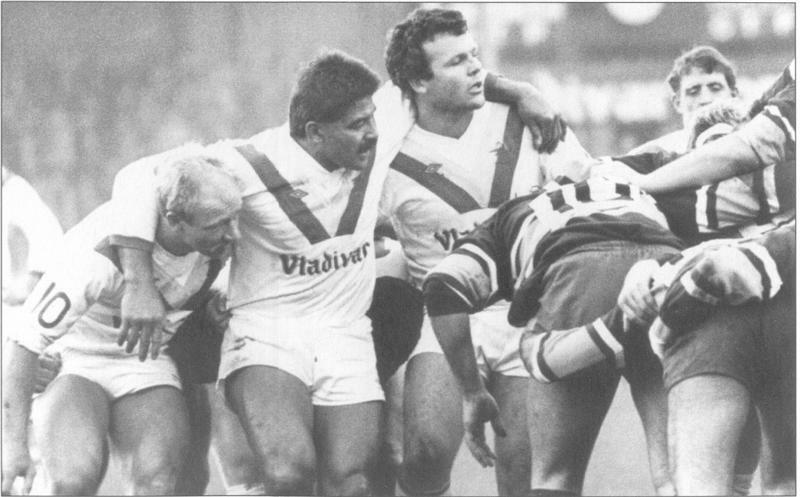 At 5ft 10in and 15 stones, Tamati was ideally built for service in the front row, but it was not until Tony Barrow took over as Warrington’s caretaker coach in March 1986 that he was switched to the number 9 jersey. It was an inspired move and the front row of Les Boyd, Kevin Tamati and Bob Jackson is still revered in Warrington. 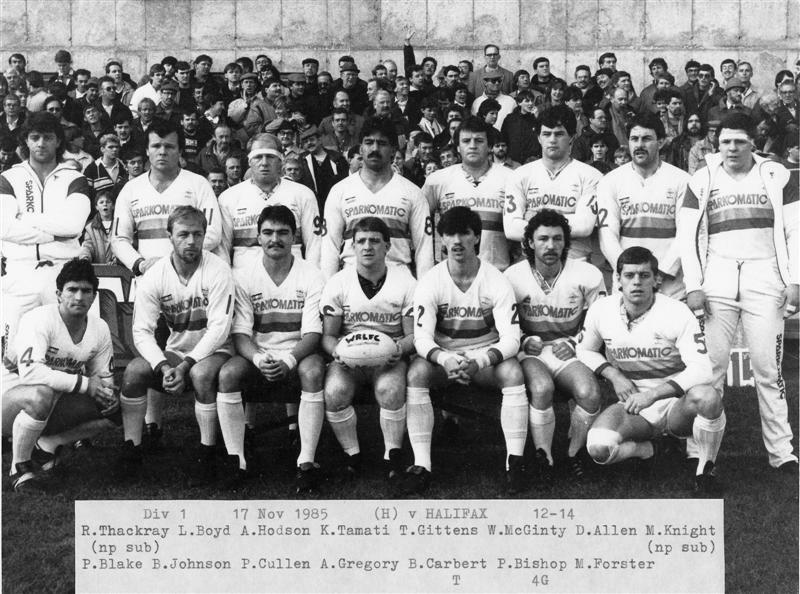 All three scored tries as Warrington overwhelmed Halifax 38-10 to lift the Premiership Trophy in May 1986. Tamati scored a crucial try when the sides were locked at 10-10 just after half-time. After being hauled down close to the try line, Tamati played the ball to himself and crashed over to the delight of his team-mates and the travelling Wire fans. ‘I am the same age as Kevin and played against him at Vets rugby union level a number of times and we always enjoyed a good tussle and a drink and a chat afterwards. He worked as Warrington rugby league development officer for many years even when coaching other clubs. He taught many youngsters the basics of rugby league, including my two sons. He continued to live and work in Warrington until his return to New Zealand a few years ago. There is a story that when he was coach of Whitehaven (which is a two hour drive from home) that to save time and money he would stay up there after training and sleep on the floor of the changing rooms. Kevin was a great bloke, fondly remembered by many and is missed in Warrington.’ -Regards, Neil Dowson. In 2004 Kevin returned to New Zealand to set up home again back in Hastings where it all began. His wife Tira returned a year later. Damon their eldest son was living in Australia and he influenced his younger brother and sister to join him so Renaye and Nathan flew to Sydney to try life there. 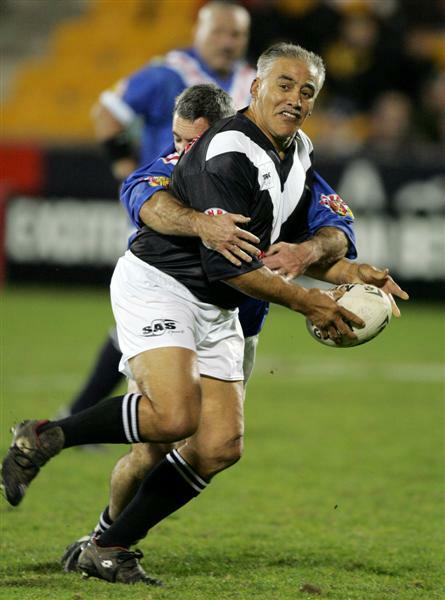 Kevin had another stint at coaching, this time in 2006 as Head Coach of New Zealand Maori Rugby League leading this side to a victory over Fiji at St Mary’son the Gold Coast in Australia. 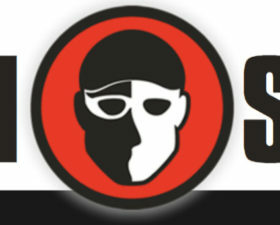 On returning to New Zealand Kevin resigned as coach claiming he had to many work commitments and very little free time. 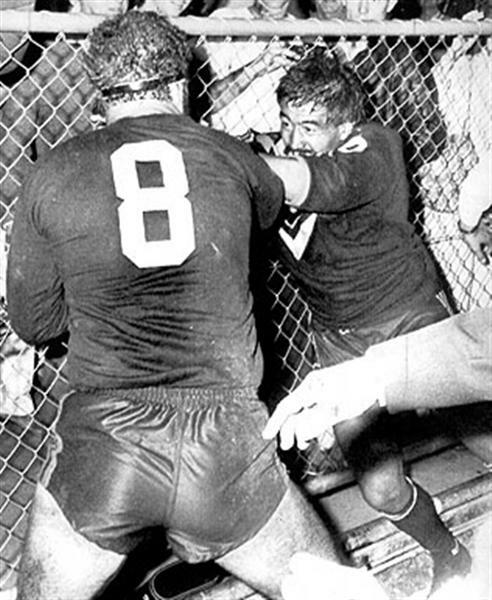 While he was a true professional sportsman with great all-round skills and an uncompromising attitude on the field, combined with his athleticism and strength to stand up to the rigors of combating the best front rowers in world rugby league, he is bemused (and somewhat irritated) by the enduring legacy of ‘the brawl’ he had with Greg Dowling in that volatile test match against Australia in 1985. 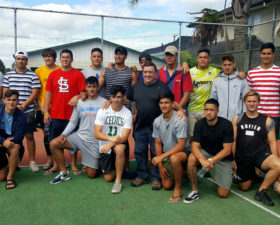 He would rather be remembered for all the positive deeds he has done over his long and successful rugby league career and remain a role model for aspiring rugby league rangatahi. CURRENTLY: (September 2009) Kevin Lives in Hastings with wife Tira, their two boys are living in Sydney and their daughter is married and lives in Rotorua. Kevin is employed by O’Reilly Limited in the service of Ministry of Health, delivering CAYAD programs and working with Youth in sport fitness and health. He is also Rugby League Referee coordinator for Hawkes Bay Rugby League.